This is your chance to check out some of music’s rising stars! 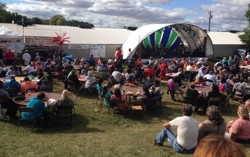 Performances are included in festival admission. We have tables and chairs set up in front of the stage, but you are more than welcome to bring lawn chairs and blankets. Please be courteous and pick a spot that won’t obscure the view of others. Click here for a printable music schedule or scroll down for complete details. 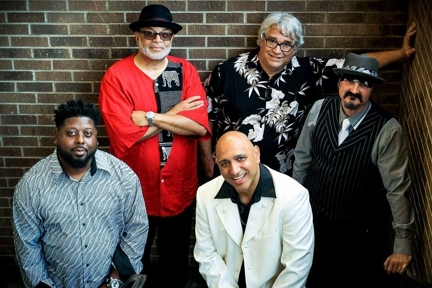 lyrical narrations, the band fosters the acceptance and romanticism of life’s physical and emotional hardships which, after all, is what the blues is all about! For the past four decades, Mustard’s Retreat (David Tamulevich & Michael Hough) has been entertaining audiences with its special brand of folk music. Highly acclaimed as not only songwriters, but as interpreters of traditional and contemporary songs and stories, their show is full of enthusiasm, good humor and fine musicianship. David and Michael met in Ann Arbor, MI in 1974. Discovering they shared a common interest in song writing and guitar playing, they put three songs together and took them to the open mic at the famous Ark Coffee House and were immediately asked back. Within 18 months they had quit their jobs and were doing music full time. “Music to Cure What Ails You” is a line from a Michigan Times reviewer that has followed them throughout their career. 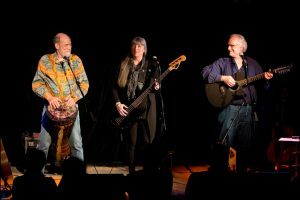 Multi-instrumentalist (guitar, electric bass, dulcimer, mandolin, harmonica, penny whistle), their large repertoire draws on the dual influences they both experienced when growing up: the folk revival of the 60s as well as the explosive singer-songwriter movement. Traditional to pop and all points in between, their show moves effortlessly along with equal doses of humor, history, insight and emotion. In addition, they present programs specially designed for elementary aged children and/or families and are available for songwriting workshops with children or adults. White Buffalo Woman is a young, howling mess crouching on all fours, readying itself to pounce on the world of rock ’n’ roll. White Buffalo Woman Started in Minerva Ohio in Drummer Joe’s basement below their family-run Funeral Home. 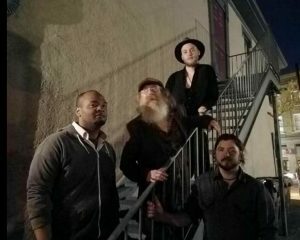 White Buffalo Woman is comprised of Evan Rutledge (Vocals), Adam Murphy (Guitar), Alex Leggett (Bass) Devin Bezeredi (Guitar) and Joe Wales (Drums) fuse rock, blues, psychedelic, souland punk into an explosion of new music. 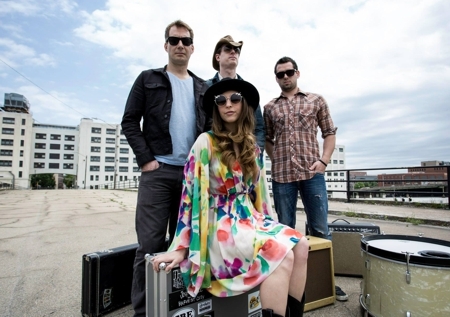 They have played in multiple states and opened for multiple acts including Dex Romweber, Patrick Sweany, The Buffalo Killers, Dan Sartain, Jacuzzi Boys, The Ettes, James Leg and The Stone Foxes. Their most recent Self titled CD/LP was released by Grimtale in early 2016. They have released a 7” vinyl record “My Days/ This Town” (released on Grimtale Records) in 2012, followed by a self released four song EP in 2013 and a 7″ single “Like You Used To Do/Always on My Mind” released on Grimtale records in 2014. This sublime debut album got them airplay on Little Steven’s “Underground Garage” on SiriusXM and a thumbs-up from J. Geils frontman singer Peter Wolf. Contents veer from organ-laced garage rock to Southern-fried soul to uncannily Stonesy, all great fun. Wolf Moon Revival is a Dayton based group that is compiled of some of Dayton’s finest. Our bass player, Bradley Denson is the bands founder as well as the founder of the Miami Valley Music Festival. Eric Stephens is the groups laid back master guitar player. Eric has won contests such as the Cincinnati, Ohio Blues challenge and participated as a contestant in the International Blues Challenge. Brandon Austin is the groups backbone and drummer. Brandon accomplishments include attending the Berklee College of music composition. He has toured all fifty states as well as seven countries. He is also a summer music instructor for middle school programs. Joe Waters is the groups harmonica player and singer. Joe has won the Columbus Blues Challenge two years in a row and competed as a semi finalist in the International Blues Challenge. 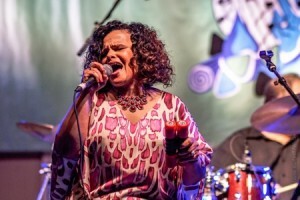 Although Teeny was born into Blues royalty, (Daughter of Tommy Tucker) one need only to hear Teeny to know that she has cultivated and developed her “gifts” into her very own uniquely compelling “world-class” package. As a child, this Dayton Ohio native began singing in the church choir. This experience, like so many other “soulful” success stories, undoubtedly began to chart the course of Teeny’s music career. The paths which would lead to her abilities to musically interpret with soulful, bluesy, and uniquely stylistic renderings were set. Teeny professional singing career began in November 1996 when she caught the attention of a German Blues promoter and manager who had promoted European tours for her Father. Since then, her musical journey has seen Teeny performing at many of the major Blues Festivals in the US, Sweden, France, Switzerland, Belgium, and Italy. Teeny was chosen for the cover of July/August 2004 edition of King Biscuit Time Magazine accompanied by a featured story of her musical journey. Teeny has been invited to appear on the same bill with great blues artists such as: BB King, KoKo Taylor, Etta James, Buddy Guy, The Holmes Brothers, Calvin Owens, Robert Cray, Keb Mo, Michael Burkes, Kenny Neal, Johnny Mars, Bobby Rush, John Mayall, Kid Ramos, Robben Ford, Joe Bonamassa, Homemade Jamz, Eden Brent, Laurrie Bell, Kilborn Alley, Henry Butler, Janiva Magness, and many others. Teeny wrote the lyrics for 8 of the 11 songs on her second CD, titled “First Class Woman.” which can be heard in heavy rotation on XM Satellite, Music Choice and Blues radio stations all over the country. Her songwriting abilities earned Teeny a place as a top-ten finalist in the International Songwriting Competition. Teeny is a two-time, top-three finalist in the International Blues Challenge which is held annually in Memphis, Tennessee. 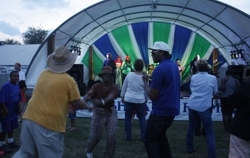 In 2008, Teeny Tucker was invited to appear on the MAIN STAGE of the Monterey Blues Festival, Poconos Blues Festival, Ozarks Blues Festival, Nothin’ But The Blues Festival, and Buddy Guy’s Legends. 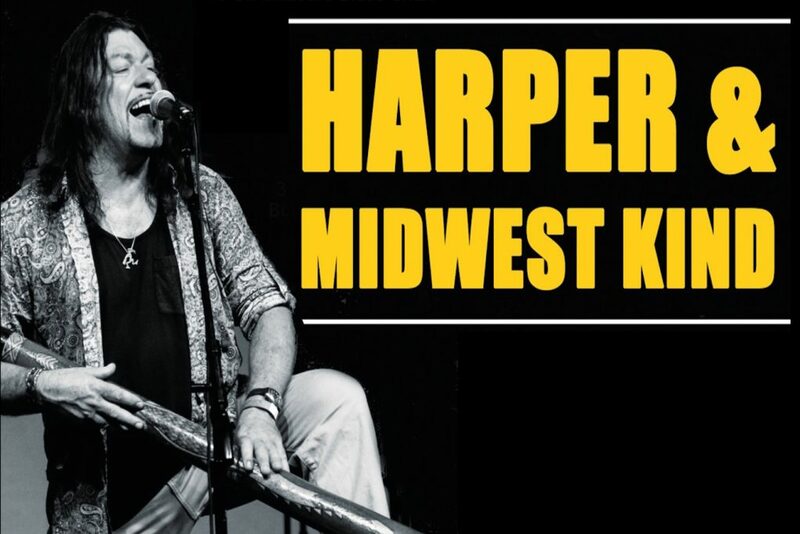 She was nominated for the “2008 Best Female Blues Artist” of the year by BluesBlast. 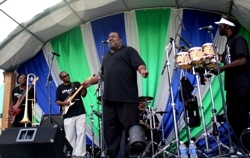 Teeny’s newest CD “The Two Big M’s” was ranked in the 15 spot on the Bob Davis list of 2008 top 25 releases. “Two Big M’s” was ranked for 22 weeks on the International Blues Roots Chart, and was nominated for best self-produced CD by the Blues Foundation of Memphis Tennessee. Currently based out of Port Clinton Ohio, the Johnny O Project is quickly becoming a recognizable name amongst the club circuit in the area. 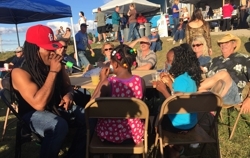 The band’s founder and guitarist Johnny O is a previous resident of Urbana, Ohio performing locally for many of the area’s businesses, events and local area farmer’s markets prior to making his move to Las Vegas. While there, he was considered one the the top professional musicians in the music scene performing at local clubs and venues as well as on the Las Vegas Strip including the historical Fremont Street. Returning home to Ohio, Johnny has reformed the band into one of the area’s premier professional power trio groups. Joining him on stage is son Joshua Olalde on Bass guitar and recently Johnny’s friend Paul Ochs on drums. With a great musical history performing together in previous bands, Paul has become a perfect fit. 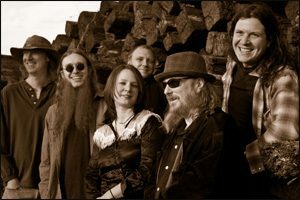 The band’s sound is a mixture of great music spanning over 3 decades from the 70’s through the 90’s. 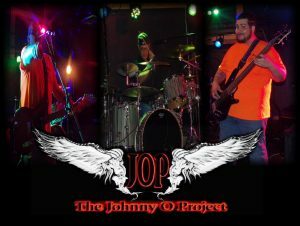 The Johnny O Project is definitely one of the great professional bands that covers a wide range of music creating their own style & feel to some of the greatest songs we remember and love to hear! The Spikedrivers began in late 2003 when Jesse Henry and Steven Fox met at an underground musician’s showcase in Columbus, Ohio. Both were recent recipients of undergraduate degrees in music and had been similarly trained in the arts of jazz and classical music. The thread that ultimately sewed the two together, though, was an intense passion for American roots music. Fox and Henry both believed that Columbus needed the idea that was The Spikedrivers. Over the next year, The Spikedrivers played the Columbus scene with enough success to gain a sizeable fan base and the attention of some other prominent musicians in the area. 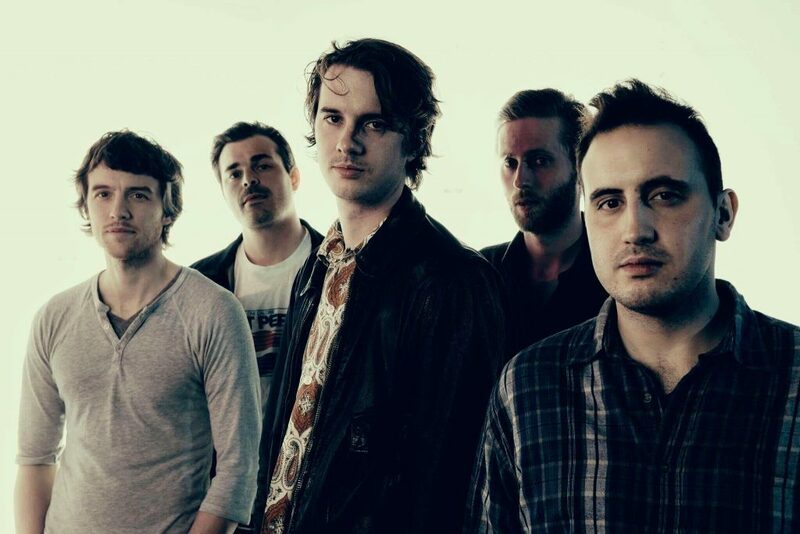 Those musicians included Megan Palmer, Steve Sweney, Paul Brown and Nathan Anders, all of whom ultimately joined forces with Fox and Henry to form the all-star sextet that is The Spikedrivers today. Megan Palmer is a force in the American Indie scene in her own right. She has accompanied the likes of Tim Easton in opening for Lucinda Williams, played with Luther Wright and the Wrongs, sat with Rick Moranis for CMT’s Studio 330 Sessions, and played with Sarah Harmer. On her own album, Palmer collaborated with the likes of Happy Chichester (Howlin’ Maggie) and Derek DiCenzo among others. Together, guitarists Steve Sweney and Paul Brown bring a great deal of experience, critical acclaim, and raving fans. Sweney is well known regionally not only for his work with The Spikedrivers, but also as the lead guitarist for jam-band heavyweights Ekoostik Hookah. Brown has a significant following and is widely recognized as one of the best underground guitarists in the nation. Most notably, Brown was dubbed “Best Unsigned Guitarist” by Guitar Magazine in 1990 and 1993. Nathan Anders is best known as a classically trained jazz vibraphonist turned country drummer. Beyond his work with The Spikedrivers, Anders is on faculty at Capital University in the Department of Music Education, specializing in percussion methods. Throughout 2005, The Spikedrivers picked up plenty of steam. The outfit established themselves in Columbus, amassed a cult following in the hundreds, reached a level of considerable popularity throughout Ohio, and began to branch out into the Midwest. The band’s ambitions were met with great success, leading to the 2006 release of their studio debut, The Spikedrivers, which was produced by Grammy award winner Jeff Ciampa. 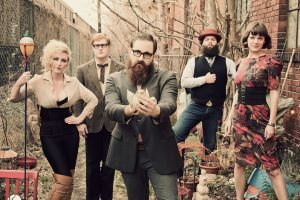 The album features the band’s most popular down-and-dirty originals, melding an industrial soundscape with old-time country, swingin’ blues, and good ole rock ‘n’ roll. 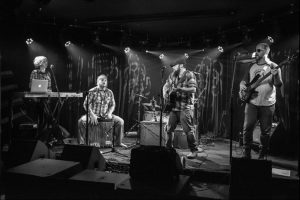 In recent months, The Spikedrivers have been hard at work writing new material and touring fiercely to promote their debut in the Midwest and on the East Coast, recording live performances all along the way. The band considers its greatest successes to be the ability to appeal to a diverse audience and maintaining the addictive qualities that continually make show-goers want to come back for more. And they genuinely enjoy making people happy with their music.